I married my best friend Justin in 2009 in the Chapel here at First Baptist Simpsonville. We have 2 little boys who attend the CEC as well. I graduated from USC Upstate with a B.S. Psychology with a cognate in Early Childhood Education. 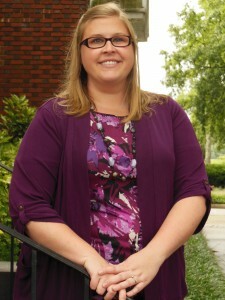 I have over 15 years of experience working with young children, and I am a member of First Baptist Simpsonville. I like to spend time with my family in my spare time. I believe that each child that enters our facility is someone’s whole world and should be treated as such.